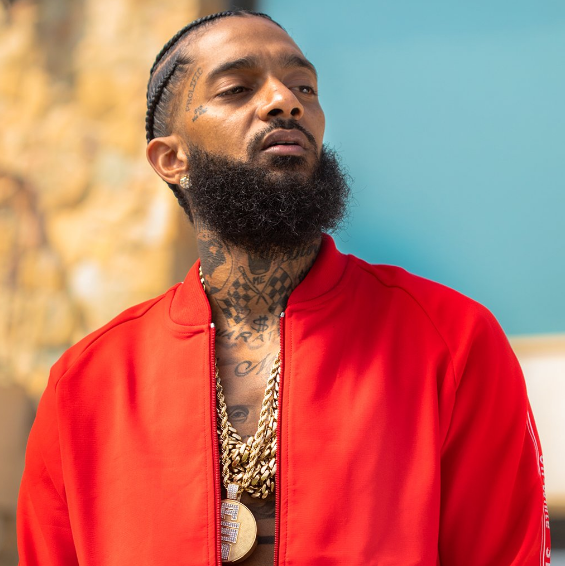 Nipsey Hussle, an American rapper known for his mixtapes - Crenshaw, The Marathon, and The Marathon Continues has died after getting shots at South Los Angeles. He was one of the best rappers who garnered 61st Annual Grammy Awards nomination for Best Rap Album. Beside famous for his rapping, his name swirls around marrying a model Lauren London. What is Nipsey Hussle known for? His several mixtapes such as Bullet Ain’t Go No Name series, The Marathon, The Marathon Continues and Crenshaw. What is the Death Cause of Nipsey Hussle? Hustle in the House rapper was shot numerous time out in his store, Marathon Clothing at on 3420 West Slauson Avenue in South Los Angeles. According to the Los Angeles Times, along with two other people, and was rushed to the hospital. The 33-year-old rapper was pronounced dead during arrival and other two injured. As per Los Angeles Police Department said, “We have no suspect info at this time and will provide more details as they become available.” Before his death, he shared a tweet saying “Having strong enemies is a blessing” on early Sunday, 31 March 2019. Furthermore, the rapper funeral hasn’t been disclosed by any sources. However, by listening to the tragic news artists like Rihana and Champagne Papi share condolence through her twitter account. Los Angeles police have arrested the suspected killer of rapper Nipsey Hussle, who was gunned down outside his clothing store on Sunday. Police said that 29-year-old Eric Holder was taken into custody after a witness spotted him in Bellflower, about 20 miles from the shooting scene. Police said they believe the shooting stemmed from a personal dispute between Holder and the rapper. Eric Holder, 29, of Los Angeles, was taken into police custody Tuesday. Police described a dispute between Holder and Nipsey Hussle of a "personal nature," and said Holder appeared in front of Nipsey Hussle's clothing store more than once before shooting him. The LAPD chief said Holder is a member of a gang. LAPD Commissioner Steve Soboroff read a letter Nipsey Hussle wrote to the LAPD prior to his death. Soboroff said a planned meeting between the department, members of Nipsey Hussle's family and his label Roc Nation will continue as scheduled. Where is Nipsey Hussle grew up? Nipsey Hussle was born in Los Angeles, California, the United States as Ermias Asghedom. The information about his family is unknown. Additionally, he had a sibling named Samiel Asghedom. He belonged to American nationality and mix (American- African) ethnic group. His birth sign was Leo. Talking about his education, he had attended Alexander Hamilton High School. When did Nipsey Hussle pursue his career in the music field? Nipsey Hussle had made his debut in the music arena with the mixtape ‘Slauson Boy’ (2005). During 2008 he had the huge attention of music releasing his two mixtapes ‘Bullets Ain’t Got No Name’ singing with Cinematic Music Group and Epic Records. Similarly, in 2009 he released his first debut single ‘Hussle in the Hous’. Furthermore, he had released his third mixtapes ‘Bullets Ain’t Got No Name’. In contrast, he got success in a career for his two mixtapes by his song ‘Upside Down’ which was featured on his studio album ‘Malice n Wonderland’ (2010), The Marathon and The Marathon Continues. Then he appeared in a movie ‘Caged Animal’ with Ving Rhames in 2010. Before he died, he played a supporting role in the movie ‘Love Chronicles: Secrets Revealed’. He had appeared in a television commercial with American professional tennis player Serena Williams for Beats Color. Is Nipsey Hussle won any awards? Talking about his lifetime achievements and awards. He was nominated for Best Supporting Actress at the year’s Black Movie Awards. But he hadn’t received any awards. Is Nipsey Hussle was married? 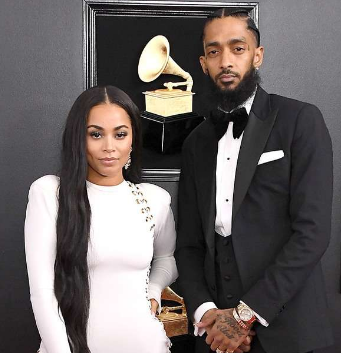 Though his rapping skill recognized him, Nipsey was also known for dating an American actress and model, Lauren Nicole London who appeared in TV series “90210” and “Entourage.” The pair dating news began surfing through the internet since 2013. They were often seen flaunting their romance on social media and weren’t hesitated to call each other love of their life. Afterward, the pair welcomed their first child named Kross Asghedom on 31st August 2016. Also, he had a daughter, Emain Asghedom from his past relationship. Being the parents, their children weren’t enough reason not to split apart. So, in November 2017, Nipsey and Lauren called a quite and were engaged in co-parenting their children. As per the sources, this couple got married secretly. But neither of them had confirmed anything about this. What is the total net worth of Lily Chee? Talking about his salary and net worth, he was earning a decent amount of salary and his net worth was about $8 million before his death. How tall is Nipsey Hussle? Before his death, Nipsey stands a height of 6 feet 3 inches tall and weighs around 81 Kg. Furthermore, his chest, waist, and biceps sizes were 40-33-14.5 inches respectively. In addition, he had black hair and eye color. Similarly, his shoe size was 12 (US). Nipsey Hussle tragically passed away on March 31, 2019, in South Los Angeles.